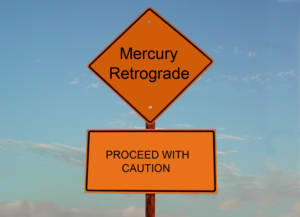 Mercury Retrograde strikes! But I’m getting ahead of myself. Originally, I’d published my fiction books only as e-books. Then, a couple of years ago, I realized there were still a lot of people who liked tree-books* so I decided I should bite the bullet, pay the money to get full covers, and have some paperbacks printed. However, the retail pricing CreateSpace insisted on seemed excessive to me, so I priced them at what I thought was reasonable for books that length and kept them in my own inventory. How’s that worked out, you ask? I’ve sold four in something over two years. During the time I was reading about the transition I was thinking about getting the paperbacks out where they’d be more visible. I started researching paperback prices and discovered everyone else was charging what CreateSpace had recommended, so why shouldn’t I? Stressed! is in the process of getting a new cover from the same designer who did Transformation!. While she was working on that, I figured out how to change the barcode on the original cover of Upheaval! to reflect the new price. Not being a graphic designer, I was rather proud of myself. I uploaded the ‘new’ cover, went through their online preview process (everything looked fine), then ordered a proof to ensure everything looked correct in print. The proof arrived last Wednesday night. (Our UPS driver is already running late and the holiday shopping season hasn’t really started, yet. Yikes!) Thursday morning, I looked it over, comparing it with the original. It looked identical so I hit ‘publish’ and went on to other things. Friday afternoon, I got an email from KDP: “The spine text is too large, which can cause the text to wrap onto the front or back cover. It must be at least 0.0625 from the cover sides.” WTF? I didn’t change a damned thing on the cover that had been used for over two years, except the barcode. Yes, I sent a query. I usually only check email once per day on weekends. This weekend, I should have skipped it. I’d have had a much nicer Sunday. Yesterday morning, I received a reply: “I checked from my end and I see that the Spine text is close to the Spine edge which might cause the text to get wrapped up on back cover during binding process. […] In this case, I would recommend you to change the font size such that it’s at least 0.0625 from the cover sides.” Nowhere did that email address the fact that the same cover image had previously been used with no problem. As I said above, I’m not a graphic designer. I think I can re-size the spine graphic on my own but if I can’t, that means I’m going to have to pay someone to do it. At the very least, it’ll cost me at least one more proof. Needless to say, I was and am livid. *I, too, love tree-books. However, I read too much and too fast to get everything in paper. I’d go bankrupt! (Before you say anything, the library in town is small and has a very limited selection.) Not to mention there are a lot of authors who only publish on Kindle. I’d miss out on a lot of them. So, I read e-books and if I like them enough that I know I’ll re-read, I buy the paperback if one is available. This entry was posted in Musings and tagged CreateSpace, KDP on November 19, 2018 by DJ.